The country's largest two-wheeler maker Hero MotoCorp Thursday reported 4.5 per cent decline in its standalone profit after tax (PAT) to Rs 769.1 crore for the third quarter ended December 31, 2018. The company had posted a PAT of Rs 805.43 crore for the same period previous fiscal, Hero MotoCorp said in a regulatory filing. Total income from operations for the quarter under review stood at Rs 8,052.46 crore as against Rs 7,424.23 crore in the same period last fiscal, it added. 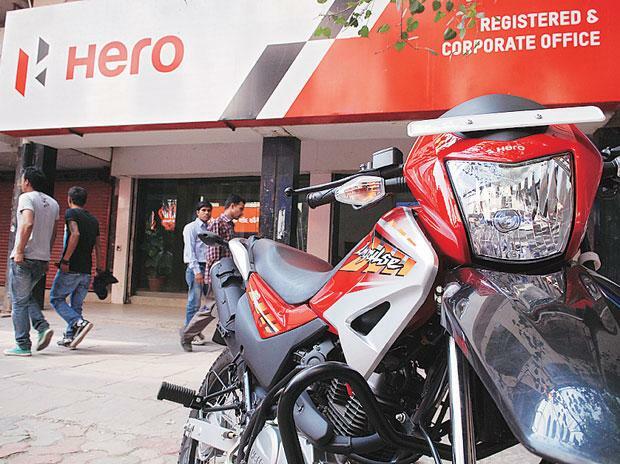 Hero MotoCorp shares Thursday ended 0.12 per cent up at Rs 2,612.05 per scrip on BSE.